I’ve been perfecting this recipe for years. It’s based on a simple spinach lasagna recipe I got from a restaurant in Boston’s North End neighborhood. 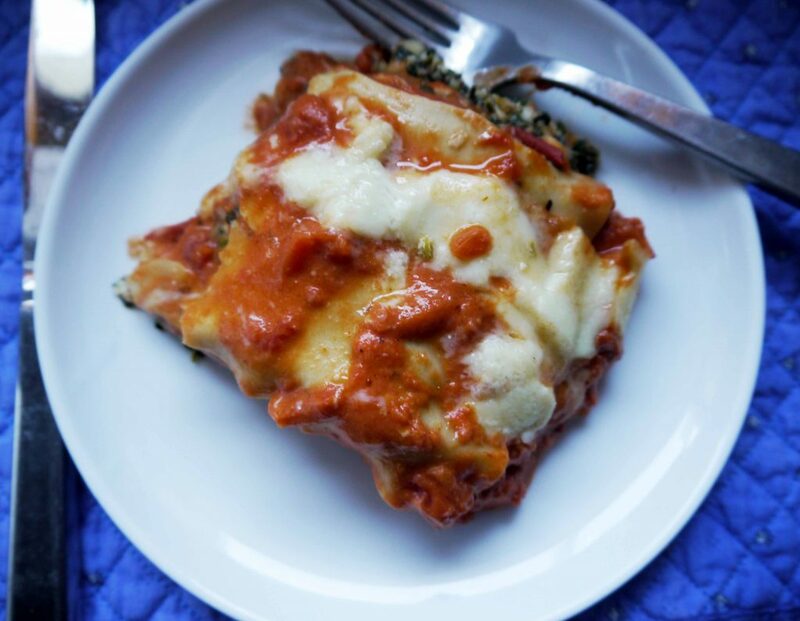 I added some techniques I learned from America’s Test Kitchen and added some tricks of my own –the addition of tomato sauce to the béchamel sauce and the addition of pine nuts to the spinach mixture — to make the perfect lasagna masterpiece. Tricia was very happy to come home and see this vegetable lasagna waiting for her in the Rootsliving kitchen. 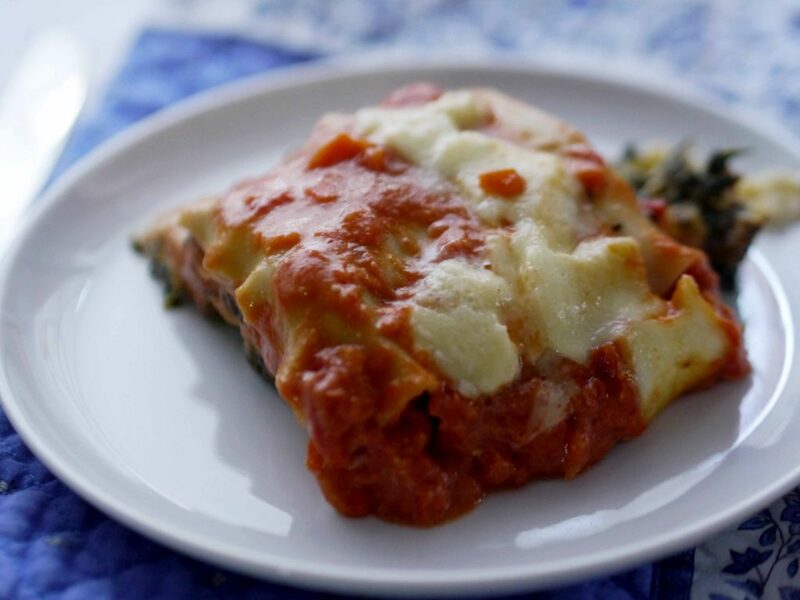 The techniques from the test kitchen involve using “no-boil,” or “oven-ready” lasagna noodles. Instead of using them right out of the box, the technique calls for pouring hot water over them and letting them sit for about 5 minutes. This makes the consistency of the noodles velvety, more like homemade noodles. 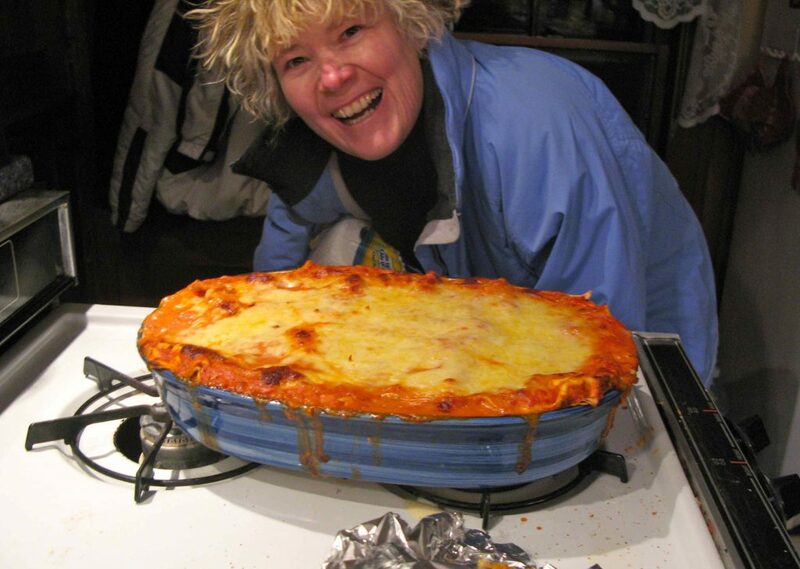 It also prevents the lasagna from being soggy or too dry. Another tip from the test kitchen that I use when assembling the lasagna is to make sure the sauces are not hot. Room temperature is best but warm works too. You can get porcini bullion cubes at Italian speciality stores and some supermarkets. 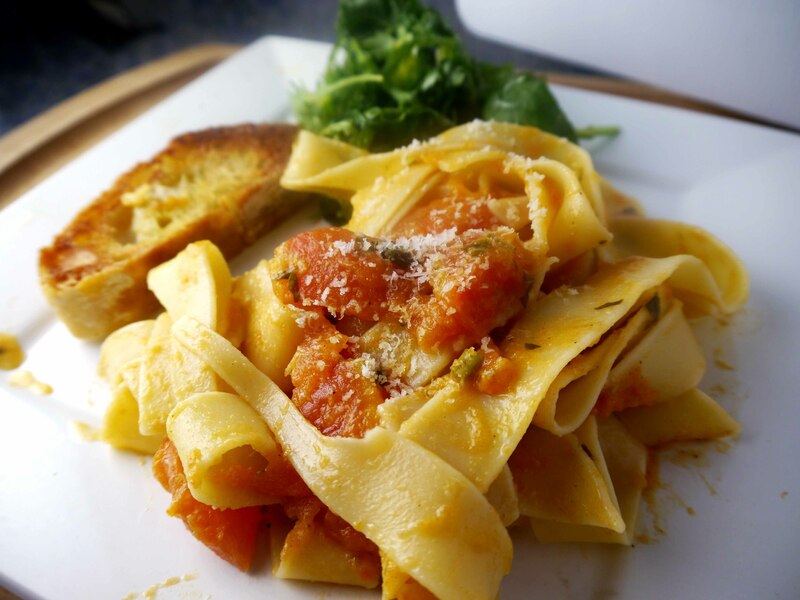 I created the tomato sauce for this recipe based on a family recipe from my cousins in Italy. The carrots make the sauce sweet and the porcini bullion cube gives it some savory depth. 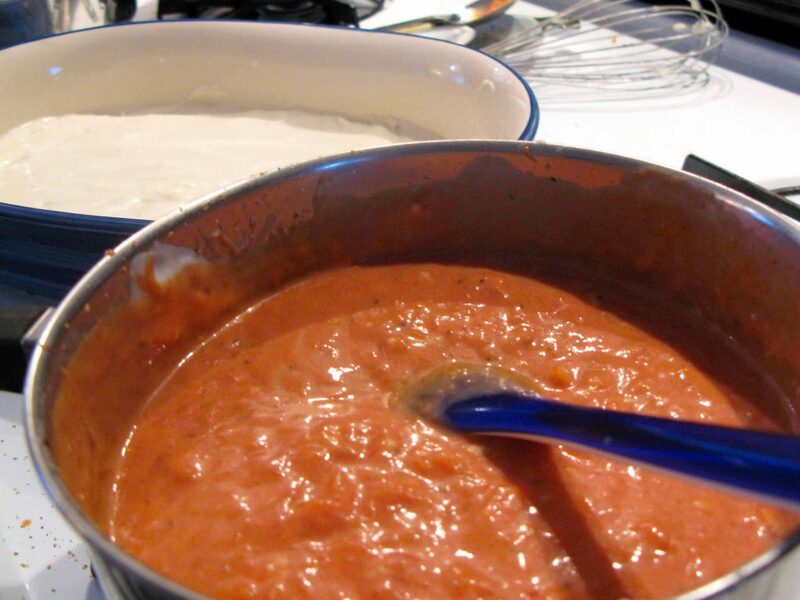 Adding the tomato sauce to the béchamel sauce turns it orange. 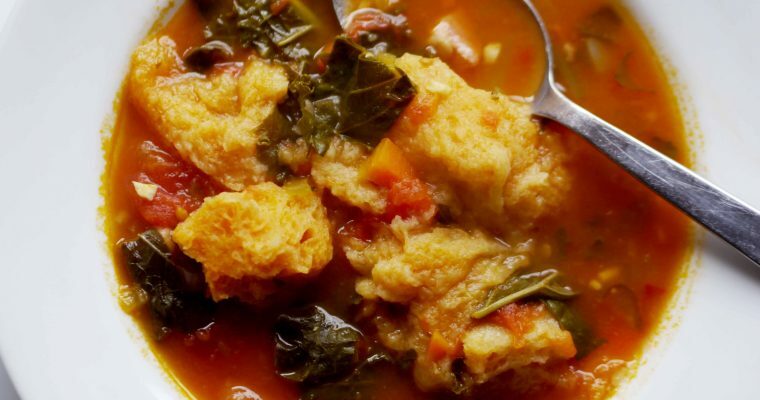 This recipe takes a little time and some cooking knowledge but don’t let that scare you. Watch the video above and read the recipe below and you’ll be fine. 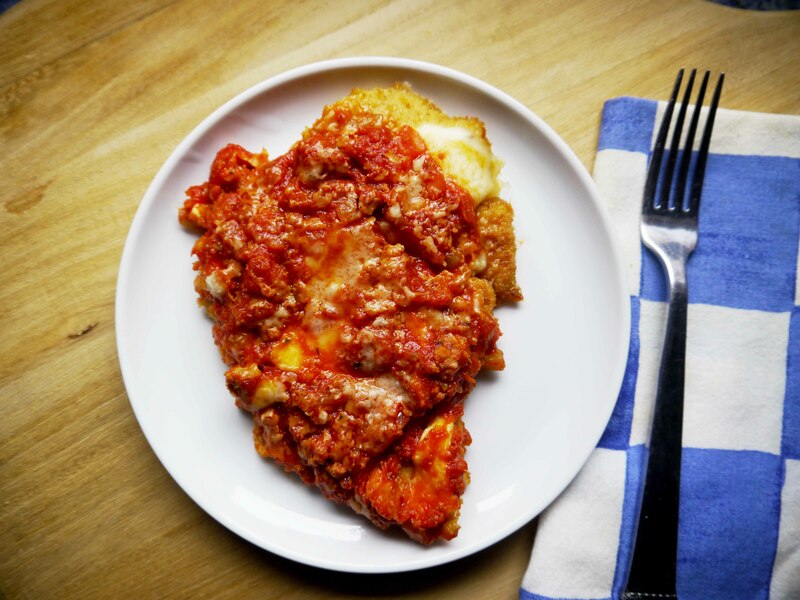 Textures and flavors mingle to create a masterpiece lasagna. Using these techniques and tips, here’s how you can create your own masterpiece. This recipe takes some time and some skill but don't be scared. 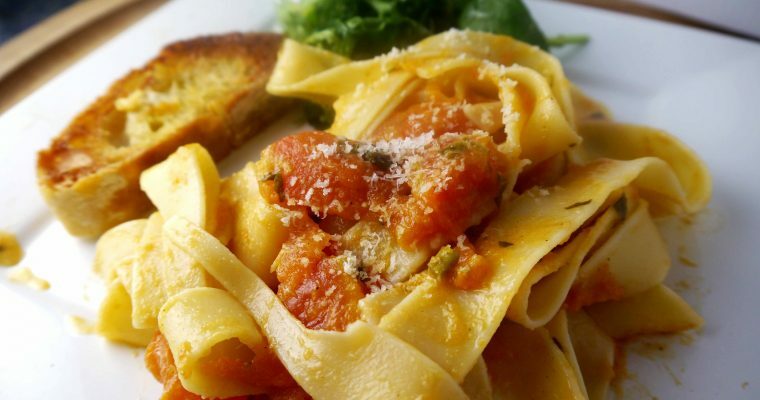 Watch the video and then follow this recipe and you'll create your own masterpiece. Step 1 To make the red sauce: Heat 1 tbsp. olive oil in a pot and add 1 cup of the onions and 1 cup of the carrots. 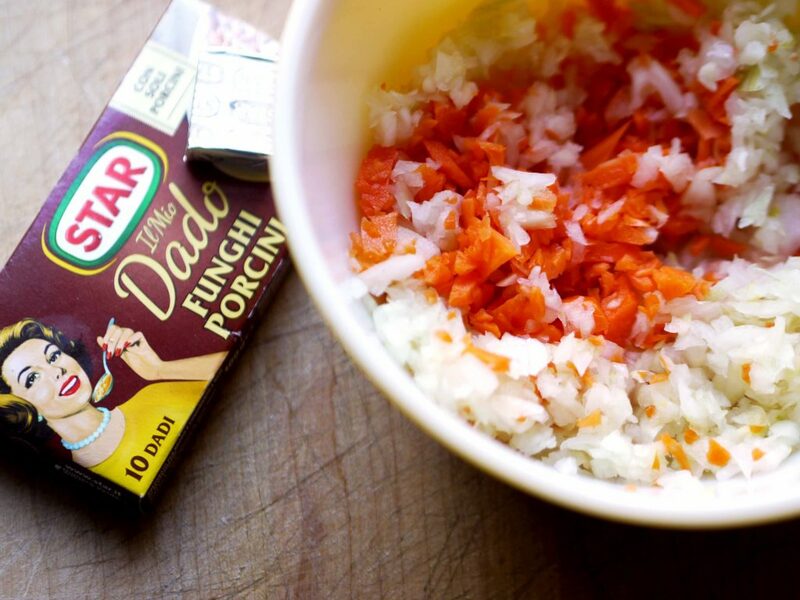 Step 2 When onions and carrots are tender, add 1/2 can of tomato paste and 1/2 cup of water. 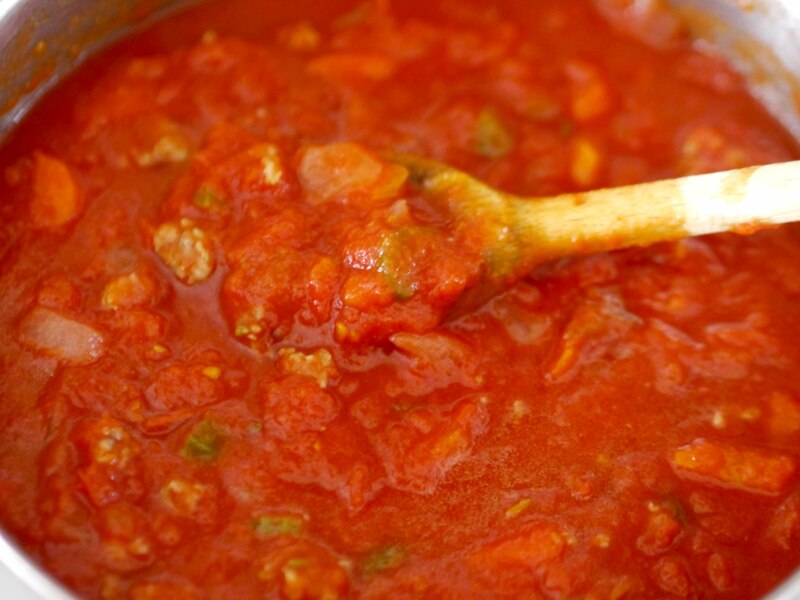 Add several squirts of the sun-dried tomato paste and the can of kitchen ready tomatoes. Step 3 Crumble the porcini bullion cube into the sauce and stir. Add 1/2 tsp. of basil and 1/2 tsp. of oregano, salt and pepper and stir. Step 4 Cook for about 20 minutes, stirring occasionally and then take off the heat. Step 5 To make the white sauce: Melt the butter over medium heat in a medium sauce pan. Step 6 Add the flour and stir with a wire whisk for about 1 minute. Gradually stir in the hot milk. Step 7 Increase the heat to medium-high, cooking and stirring until the sauce thickens and comes to a boil. Lower the heat immediately and cook, whisking occasionally, for five minutes. Whisk in nutmeg, salt and pepper. Remove from heat. Step 8 To make the spinach mixture: Heat 1 tbsp. of olive oil in a large skillet over medium-high heat. Step 9 Add 1 cup of the onions and 1 cup of the carrots and cook until tender (about four or five minutes). 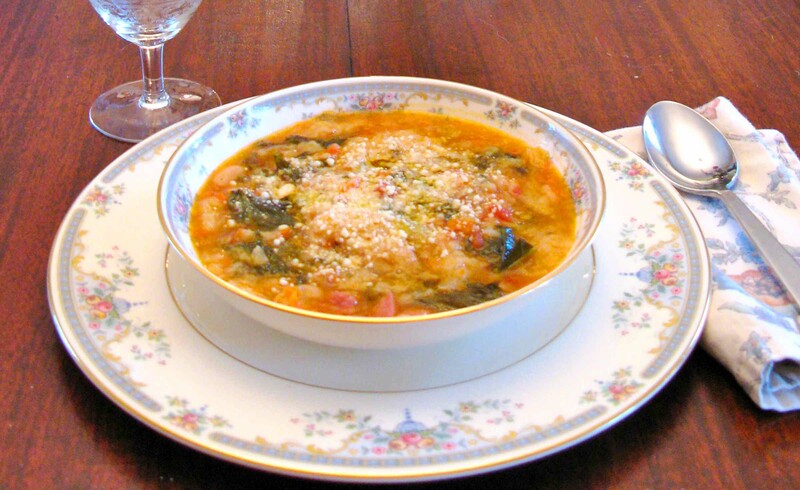 Step 10 In a large bowl, mix together the spinach, ricotta, onion/carrot mixture, 1/3 cup of the white sauce, four tbsp. 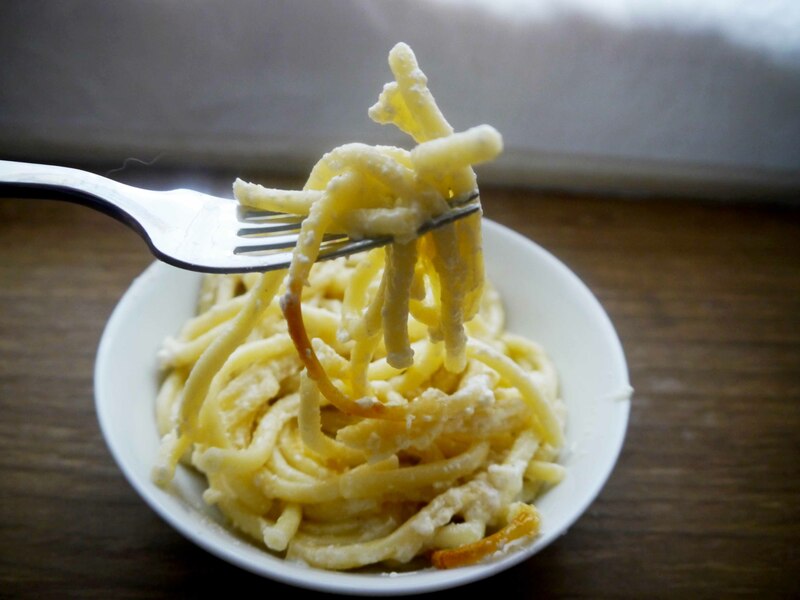 of parmesan cheese, pine nuts, 1/2 tsp. of basil and 1/2 tsp. of oregano, salt and pepper. Step 11 To Assemble and Bake: Preheat oven to 350 degrees. Step 12 Place the no-boil lasagna noodles in the 13 x 9-inch pan and cover with hot tap water for five minutes (agitating the pan occasionally so they don’t stick). Place the noodles on a kitchen towel and pat dry. Step 13 Empty water out of the 13 x 9-inch lasagna pan and dry the pan. Drizzle olive oil in the pan and grease the pan using a paper towel. Make sure to coat the sides and top of the pan so nothing will stick. Step 14 Spread about 1/2 cup of the white sauce in a thin layer over the bottom of the pan. Step 16 Place three strips of lasagna noodles over the thin layer of white sauce at the bottom of the lasagna pan. Cover with about 1/2 of the spinach mixture and three more of the lasagna noodles. Step 18 Cover with three more lasagna noodles. Add remaining spinach mixture and enough of the white/red sauce mixture to cover. Step 19 Top with remaining three lasagna noodles and remaining white/red sauce. Sprinkle with mozzarella cheese and remaining four tbsp. of parmesan cheese. Step 20 Cover with aluminum foil and bake for 35 minutes. Step 21 Remove foil and increase the oven temperature to 400 degrees. Bake for an additional 20-25 minutes, until the top starts to brown and the lasagna is bubbling hot. Step 22 Let stand at least 5-10 minutes before serving.